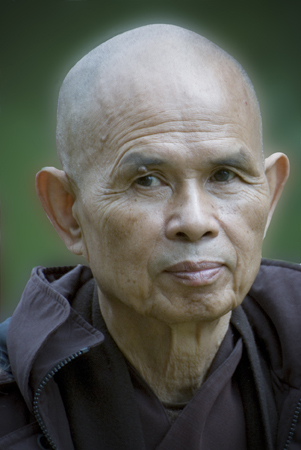 Today is Thich Nhat Hanh’s 84th birthday. Thay, has been an inspiration to me in so many ways. There is something very powerful about his peaceful presence. You see the peace, the calm, and the mindfulness that he has cultivated. This morning I was reading his book ” True Love”…. To be mindful seems like such an easy task, carefully looking deeply, but we get lost in our own thoughts and our own desires. I should have done this or I’ll do that next time. We are constantly living in yesterday or tomorrow. The simple act of simply being here now is where mindfulness lives. Yet, this can take years and sometimes decades to cultivate. I try and have mindful breaks at least once a day but it’s very hard when life get’s “busy”. This morning as I was journaling I noticed the smoke from the incense. It was the whitest I’ve ever seen and it danced in the air like a snake being charmed by the sound of the flute. It captivated me, I don’t ever recall seeing incense move like that. Or maybe, this was the first time I truly noticed it. This is mindfulness, noticing something so deeply that you are truly one with the object that you are observing. Mindfulness is available at anytime, if we engage our senses it’s always there. We can listen deeply to the noise off in the distance instead of the noise that is in front of us. We can see what things are made of instead of the object that has been made. We can taste the flavors of the food and be grateful for the process that it takes for us to be able to enjoy it. We can feel with curiosity. For a moment today, look, touch, feel and taste something as if you’ve never before. Be curious, just for one mindful moment.